Do You Still Read “Real” Books? At least, that is what I was asked. I am pretty sure that they were referring to e-books versus physical books, but I did have to chuckle. I always swore I would never have an e-reader, and only read “real” books. I also could not count the number of books; really, really good books, that I have read that were only in an electronic format. I would not have had the opportunity to read those books if I completely relied on printed books. Now, I also still have every intention of having a library in my home when I have the spare room available for it. I could think of nothing I would enjoy more than a comfortable chair, a soft light, fluffy rug, warm fireplace, and every wall full of bookcases stacked with books. My favorite books, the classics, and books I have not read yet. I certainly have a good start on the bookcases and books. Now I just need the room. Where do you keep all of your books? Or have you decided to go the e-reader way to save yourself some room? Thanks for sharing Aimer! I have talked to a few people who are in love with their e-readers, and would not go back to physical books unless if it was the only way they could read a book they absolutely had to read! Yes, pdf’s are nice but real books bring something long lasting to the story. This is also why I will always have a print copy of my novels. I have lots of bookshelves. Different rooms or corners of rooms have different types of books. I also have an e-reader. We are talking about installing a “little free library” in our yard to offer or offload ones we are done with. I love the idea of the free library. I think it is a great way to get someone to find the love of reading that they may not have discovered yet! I do read “Real” books. You can feel the pages. You can smell the paper. I can recall where in the book a certain phrase is located. It’s all good. I don’t have an e-reader. 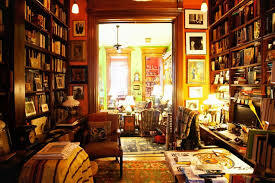 But I have lots of bookshelves in different rooms filled with ‘real’ books. Your idea of a library sounds great. I would love to have one big room designed for just books. That will be the very first thing I will do as soon as I have the space Julia! It certainly gives me something to look forward to, as well as a reason to buy more books; not that I need one. Thanks for stopping by! I have talked to a few people who like having physical books, but are also limited on space so are currently reading the majority of their books in e-format. Thanks for sharing! I have spent 110 dollars this week alone on physical copies of books. Gotta love the used book stores. I may have a problem…Right now, since all of my bookshelves are full I have them neatly stacked up by my desk. Hopefully I will be moving soon and will have an extra room to turn into a library/office. I too have been finding creative ways to store my books Heather. My recent trip to B&N was not exactly cheap LOL. I currently have my books two rows deep, and some are two rows high, if I can lay some sideways on top. Thanks for stopping by and commenting! Even with my purchase of a Nook, I still buy hundreds of books in print. I don’t think I’ll ever be able to part with an actual piece of paper. I agree Paris. I love having shelves full of books 🙂 Thanks for sharing! My upstairs living room is our library in my house. I have put shelves against all of the walls and we have so many books that we still use our shelves in our bedrooms as well. That is a shelf unit per child, four children, and one each for myself and boyfriend. I also have a book shelf in my kitchen for my kitchen books (canning, food preserving, old cook books, making my own medicines and cosmetics, and what my kids call potion books). Since we don’t have TV access, books are our entertainment most days. Some day I hope to have a bigger room filled. That sounds fabulous France! Thanks so much for sharing! For a while, I was on the “Real Books Only!” train. I thought that electronic books would lead to a bookless wasteland, and I wanted no part of hastening the demise of the printed word. These days, I’m a little more lenient about how I consume books. When I have a little downtime at the office, or while I’m stuck in a boring waiting room, I tend to have at least a few e-books at the ready. I still prefer printed books for what they do for my senses: whether the musty aroma of an old classic, or the crispness of a new print, they offer a lot more than just a story. They’re an experience. …I did not intend for my comment to be this long. I still read both formats but I know the printed book is on the way out just like 8 track tapes and cassette tapes had their time in the spotlight. Amazon – sold more e-books last year than they did printed books. People are demanding more and more e-books for a lot of good reasons, cost being only one of them. I love my kindle and I am reading books that otherwise I wouldn´t have read. But I have plenty of paper books and continue to buy them, some authors are not meant to be read on kindle but you have to turn the pages and savour every word. I agree! I tend to read newer authors on my Nook, but definitely buy the paperbacks of my favorite authors. I have 3 shelves of James Patterson books! I read a lot of “real” books! I borrow from the local library, and I get freebies from publishers to review. I did get the cheapest Kindle I could (minus ads), and I have downloaded a lot of free books and those under $3. There are some books I want to keep on a shelf because I love the book. There are some books I want to give to someone after I finish it, or donate to the library. I can’t donate e-books. There are some things I like about Kindle books, but lots of them are not the best quality because it is so easy to self-publish to Kindle. I wish “real” books didn’t cost so much!